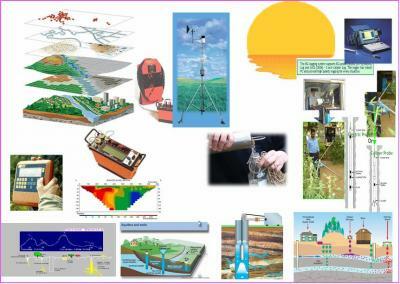 A technology services centreis an outcome of a felt need of services on “eco-friendly geotechnical & environmental solutions” for sustainable water resources solutions for industrial & agriculture farm sites / project areas by getting status checked on environmental related land & water resources. The business entrepreneurs / managers; who give emphasis on the water sources in comprehensive manner and are looking forward to an additional source of water supply and sustainable water resources solutions. Tailored service needsof industry and agriculture by deploying latest equipments, software, scientific and technical tools and data processing / analysis facilities, GIS and remote sensing application analysis and mapping for environmental land & water resources management and can be integrated such assessment for e-Governance which is going to be demand in near future on environmental resources management for all sectors. Uniquein nature with broad base links in order to cope with development in technology, tools [software and hardware] and techniques as well are would be able to meet the requirement of tailored services. It would be easy for any industry and or agriculture farm owner to take remedial measures or actions to suit their desired interventions / solutions for economic growth of the enterprise and at the same time would be able have hi-tech quality of services. A team of qualified experienced professionalsand skilled hands will provide the specialised services. The panel of experts would act as quality control of the services and will be unique in nature to meet the challenging services tailored solutions on “eco-friendly geotechnical & environmental solutions” for sustainable water resources solutions for industrial & agriculture entrepreneurs their sites / project areas by getting status checked on environmental related land & water resources. Conducting a systematic water resources assessments and developmentfor both entrepreneurs’ industrial and agriculture units are able to get the eco-friendly solutions on water resources requirement and develops considerable level of sustainability. Also it will include the safe and eco-friendly disposal of industrial waste and effluents from the units if any. The prospecting groups from industries and agriculture farms[joining hands in hub/ cluster]would be given priority and provide services on environmental, land use & water resources management with neighbourhood and the monitoring & surveillance systems for e-governance under eco-friendly geotechnical & environmental solutions; and it may be possible to manage the water resources and to great extent and able to meet their water requirements of their own in hub/ cluster. To reach the un-reached places through transfer of technology interventionswhere such services would arrest further deterioration of water resources and environmental pollution and able to provide eco-friendly solutions to people to help themselves for quality of life with sustainable management of natural resources. These services will create deep-root impact on rural hubswhere people prefer to go for traditional entrepreneurship of livelihoods, which is a challenge for reaching it to the communities for giving them better support system. 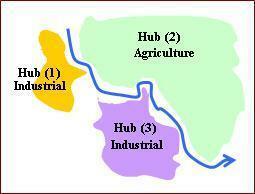 Our water bodies and sources….. Although groundwater resources are relatively are small on the earth but their influence on the condition of human life is extremely great. 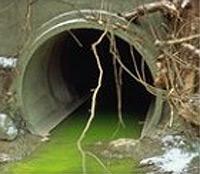 The water supply to your city, town, and settlements are based on the use of fresh ground water. Some places, it is virtually the sole source of water, around which the oases arise. The nature is replenishing of groundwaterand surface sourcesby evaporation from the ocean explain their presence. In this connection, any over extraction / usage causes imbalance in the sustainability of the groundwater source. Any human impact on nature must be regarded as a compromise between good and evil. Artificial recharge is an option to overcome the over-extraction / over-development / over-usage of water source (aquifers) / to increase the safe yield from the borehole. The water may be recharged during the months when surplus water is available to be used in dry months when water resources are scarce. Also the artificial recharge is used to purify / improve the water quality.